American farmers and ranchers dedicate every hour of their day to running their operation – whether its late nights harvesting crops or early mornings feeding cattle – their job is never done. AgAmerica understands the commitment and resilience it takes to be a farmer or rancher and the importance that agriculture plays as a way of life for millions of individuals across the country. Capturing the work ethic and the critical role farmers and ranchers play in America and what they represent in a changing world through photography and imagery is important to the AgAmerica mission. They say a photo is worth a thousand words, and AgAmerica strives to create images that strike an emotional chord and provides an understanding of the hard work put forth in producing the food we eat. In 2017, AgAmerica photographer Dustin Prickett, owner of Sunglow Photography, captured the award-winning photo titled Florida Cattle Ranchers at Daylight, winning the first place award for Best In Category from the American Advertising Federation of Polk County Florida – and the a 2017 National Silver Addy Award for color photography. 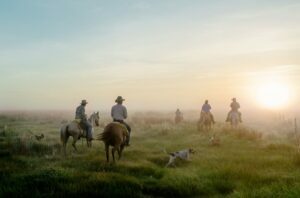 The photo illustrates cattle ranchers preparing for a day’s work as they ride their horses to a cattle roundup about ten minutes after sunrise. The photo was taken at the El Clair Ranch in Zolfo Springs, Florida and has received wide acclaim for capturing the beauty of the rising sun and the picturesque view of cattle ranchers, their horses, and dogs. To capture this photo, Dustin was up before dawn with the ranchers, and arrived at El Clair Ranch at 4am to set up. He then headed out on a four-wheeler to scout the ranch for the perfect backdrop location. Dustin said his goal for the photoshoot was to illustrate AgAmerica’s vision of farmers and ranchers and create unique imagery that speaks to the every-day life of the American farmer. 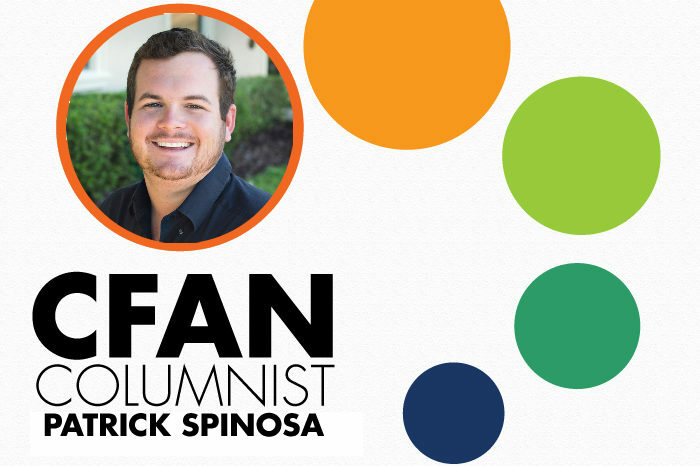 Moreover, the photo represents the passion AgAmerica has to help farmers and ranchers do what they love through lending options that provides a long-term financial plan for their operation. Florida cattle ranching is one of the largest in the nation. In fact, there are more cattle ranches in Florida than there are citrus farms, according to the Florida Department of Agriculture and Consumer Services. The industry raises more than $2 billion annually and employs over 17,000 people in Florida. The photo represents the industry’s importance on a local, national, and international level. More than 90 percent of cattle operations are family owned and this industry accounts for 20 percent of the world’s beef supply. For those looking to expand or refinance their operation, AgAmerica Lending builds customized loan packages to meet your farm or ranch needs. Explore AgAmerica’s ag loan programs and discover how they’re changing the way today’s farmers, ranchers, and landowners finance their dreams. From dairy farms and cattle ranch loans to timber land, peach orchard, vegetable farm loans and everything in between. Learn more by visiting their website or contact them at 844.516.8176.